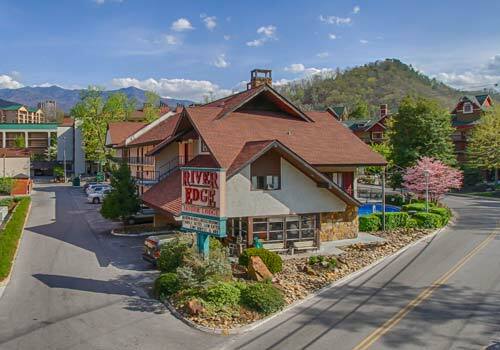 Located conveniently within walking distance to major Gatlinburg attractions such as Ripley’s Aquarium and Ober Gatlinburg, the River Edge Motor Lodge is the ideal choice for travelers. All rooms feature cable TV/HBO, free Internet access, a spacious room set up, coffee makers, microwaves, and other amenities. 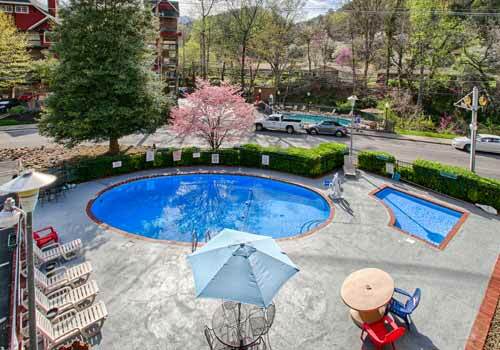 Rooms also include a private balcony overlooking the outdoor heated pool. 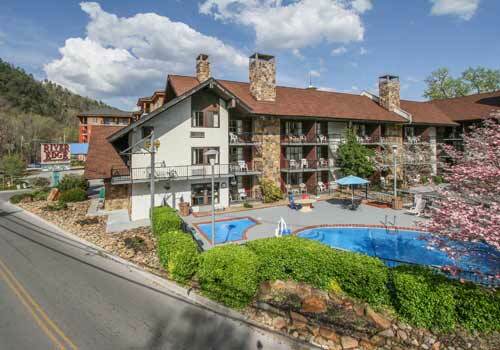 Spend your Smoky Mountain vacation at River Edge Inn (formerly River Edge Motor Lodge) in Gatlinburg, Tennessee. Our rooms are extra large with a private balcony looking onto our outdoor pool. 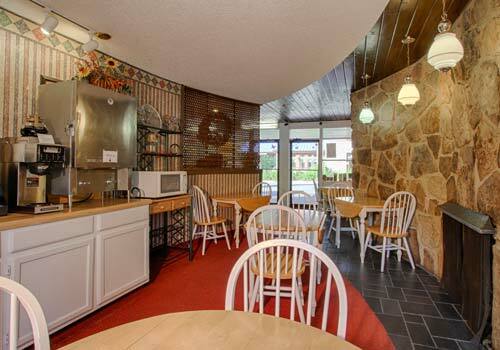 All rooms have cable TV, refrigerator, microwave, and coffee maker. Free WiFi is available throughout the hotel. Our seasonal outdoor pool will open Memorial Day weekend through Labor Day. 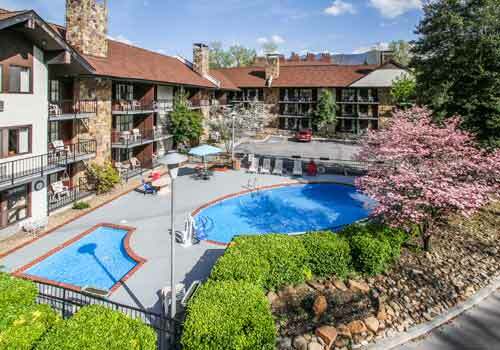 With a convenient location, the hotel is within easy walking distance to Gatlinburg Convention Center, Ober Gatlinburg Aerial Tramway, fabulous restaurants, Sky Lift and Ripley's Aquarium. 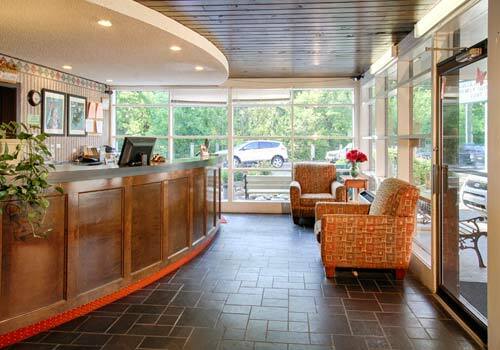 We offer free self parking, one complimentary space per room. Additional vehicles will need to find alternative parking. 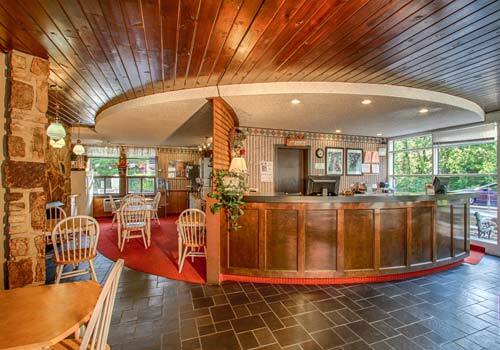 River Edge Inn is currently undergoing a renovation project. These important design changes will provide for a much-improved hospitality experience. We appreciate your understanding and kind cooperation throughout our renovations. What in-room amenities are available to guests? Is parking available for guests? Yes. Free self-parking is offered. There is one complimentary parking space available per room. Additional vehicles will need to find alternative parking.